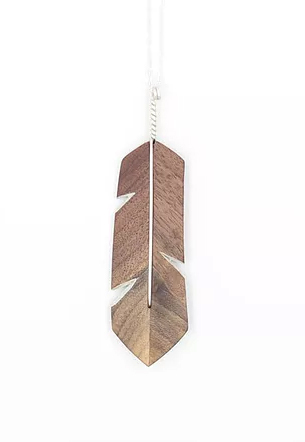 It’s not always easy to find gifts under a hundred dollars that are both handmade and well-designed. But we are lucky, and we live in Santa Fe, which is not only teeming with artisans willing to take risks, but galleries willing to support them in an (ad)venture that is helping redefine Santa Fe’s art scene as younger, hipper and more diverse. Nowhere is this more evident than at Form + Concept, where Santa Fe’s transformation is on visible display in works that range from the deeply moving to the delightfully subversive (just the way we like our art). It’s definitely the thinking person’s gallery. So, when we started thinking about holiday gifts, we headed to their shop looking for some great under-$100 ideas... and were not disappointed. Even better, most of it is jewelry—and we want all of it. 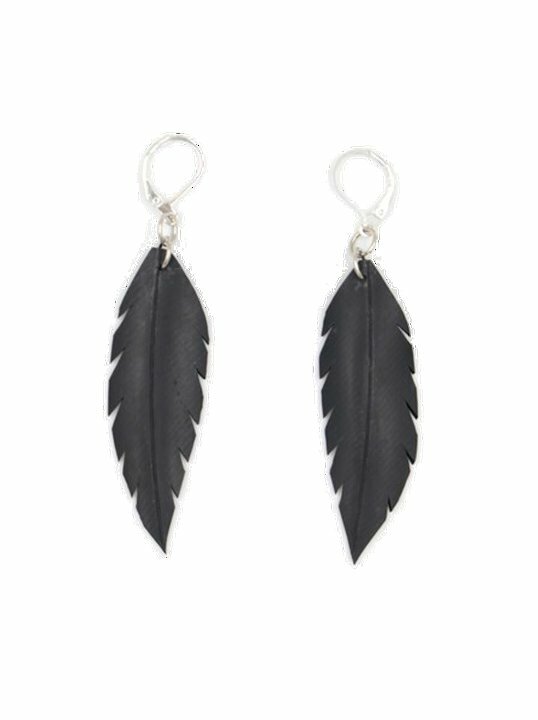 From the weightless-but-bold black feather earrings made of bicycle tubes ($25), to the nature-meets-punk walnut and steel spike pendant ($25), each piece is a work of art, and the collection offers design aficionados a range of materials, form and color to choose from. We’ve included some of our favorites below. Visit the Form + Conceptshop to find these and see the full collection.